My favourite parts of my skincare routine occur in the evening. When I come home and wipe away the day, there's nothing more satisfying than giving your skin all the love it needs after (probably) a stressful day. The night is also the time where your skin repairs itself, so it makes sense to give it as much help as it needs to achieve maximum results. Below are some of my tried and tested products that I really recommend for some overnight magic. They're all products I use on rotation or at times when my skin needs a miracle, so be completely assured that when I say these are good, I mean it. I really don't put just anything on my skin! 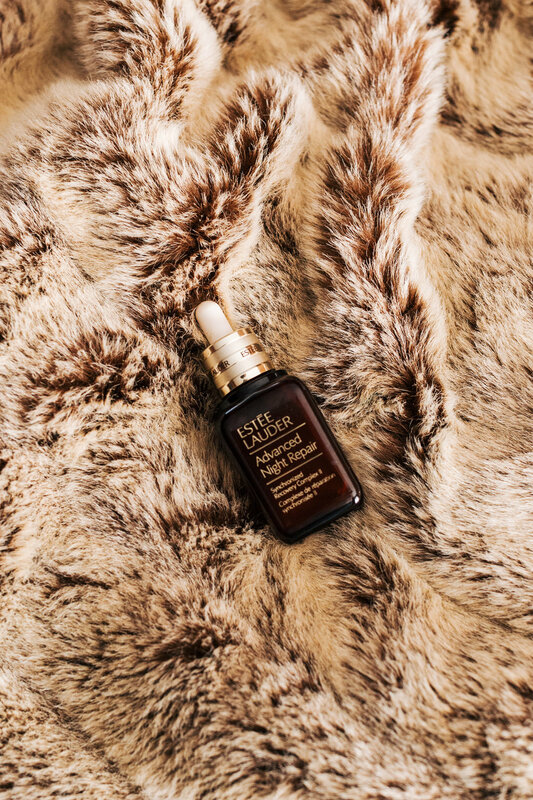 Estée Lauder Advanced Night Repair Ampoules - when my skin is uber stressed and tired, these powerful concentrated ampoules are my go to. Not to be used daily but only on those occasions where your skin needs a serious pick me up. Part of the Advanced Night Repair - one of Lauder's hero ranges - it does exactly what it says on the tin. Use after serum and before your night cream for a triple attack against worn out skin. Slip Silk Eye Mask - I never go to sleep without this eye mask on. Not only is it a beautiful addition to my bedside, it's also incredibly soft which is an absolute necessity when you're dealing with a very delicate eye area. I genuinely believe it helps me get to sleep much quicker and easier - I can't imagine night time without it. Worth buying for yourself but equally, if you want to buy someone something they didn't realise they needed - then this is the product for just that! 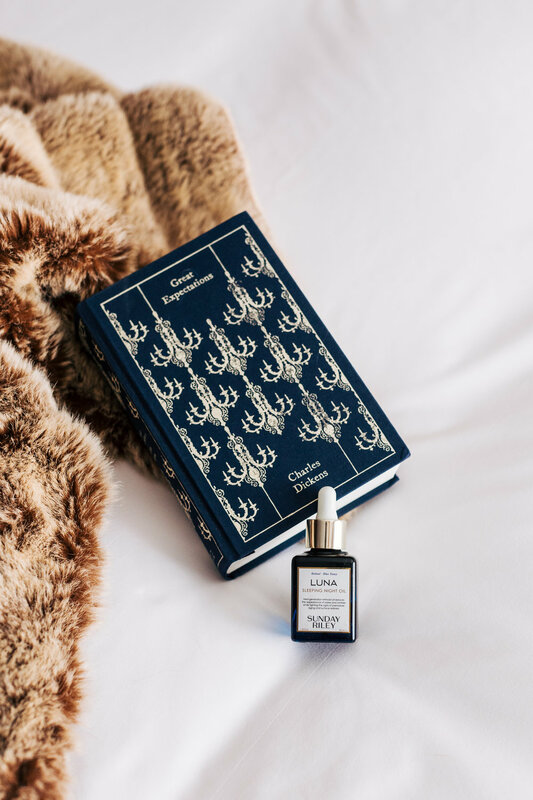 Sunday Riley Luna Sleeping Night Oil - a retinol rich night treatment which works to reduce lines and correct signs of skin damage whilst you snooze. Just a few drops of this magic blue stuff is all you need as it's incredibly hydrating and velvety smooth. My skin always wakes up on the good side of the morning when I apply this at night. A cult beauty product that's worth the hoo-hah. Chanel Masque de Nuit - Part of the Hydra Beauty range, this is an incredibly hydrating night time treatment, used in place of your night cream. It's an overnight mask which sinks into the skin and doesn't need to be rinsed off, leaving you with supple, plump skin in the morning. It's also got the highest concentration of camellia flower extract which helps skin to maintain optimum levels of moisture. If you don't always remember to keep your body hydrated then remember to always hydrate your skin with this at night - it's a good cheat trick! 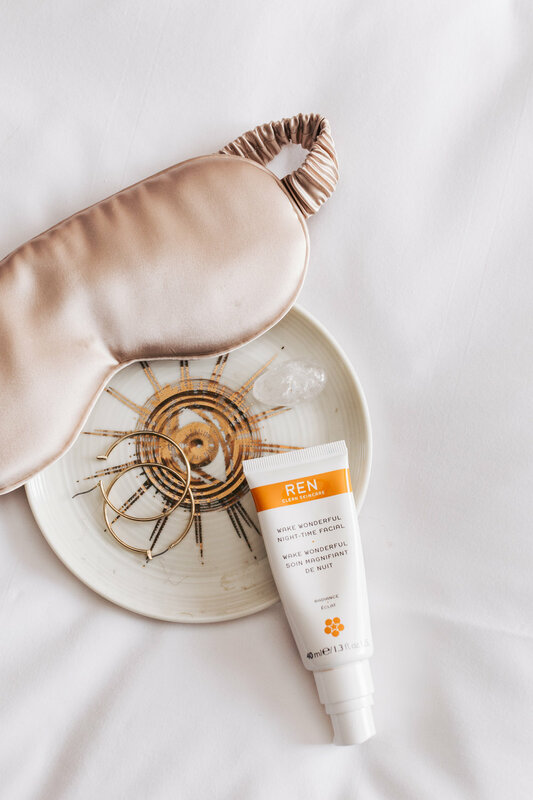 REN Wake Wonderful Night-time Facial - one of my favourite products from the Radiance range because I ALWAYS wake up with better skin the next day. It's essentially an overnight exfoliating treatment which rids your skin of dead cells, deep cleans pores and boosts your glowiness and all for an affordable price. After cleansing and applying serum, add this into your routine before finishing with night cream. 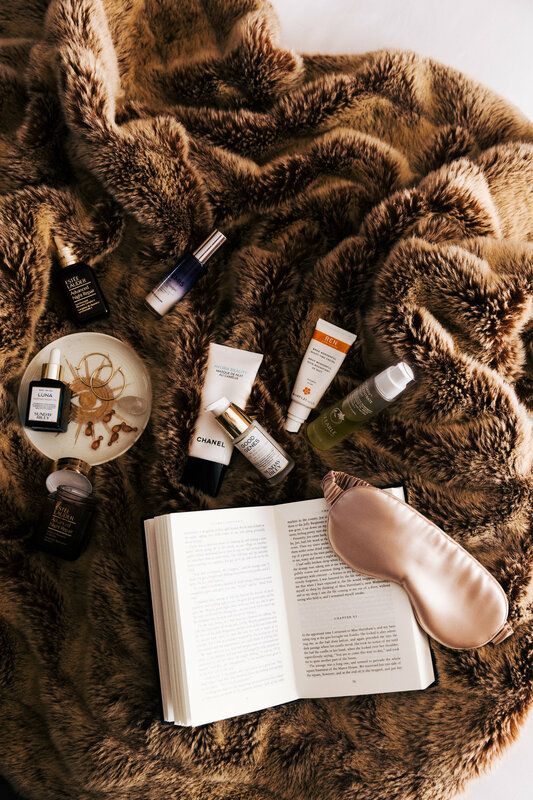 Wake up glowing. Elemis Peptide 4 Night Recovery Cream Oil - I have yet to try a product from Elemis that I don't like. The Night Recovery Cream-Oil gives the hydration of a cream but the protection of an oil which for those of you who have yet to dip your feet into the world of oils, this might be a good place to start. The tetra-peptide helps to support the skin's natural renewal process at night meaning you wake up with skin that is rested, restored and replenished. Estée Lauder Advanced Night Repair Sychronized Recovery Complex II - With its long fancy name you might be stumped what this actually is. Essentially, it's the serum part of a very good night renewal range aimed at reducing your ageing woes - at least where your face is concerned. A 50ml bottle though a bit on the pricey side, is well worth it if you want to take your skincare seriously. In fact, if you're going to splurge, get the entire range and treat your skin. Smooth, radiant skin is not a myth with the ANR range. Sunday Riley Good Genes - there's a good reason this is always out of stock! Pricey but worth it (and a little goes a long way), you don't need to use this too often but will notice the results after a short time. Brightening, radiance boosting and dead skin cell removing, it works hard on your skin without being harsh (though I wouldn't recommend for sensitive skin). Try leaving it on for 20 minutes or so (it can tingle!) 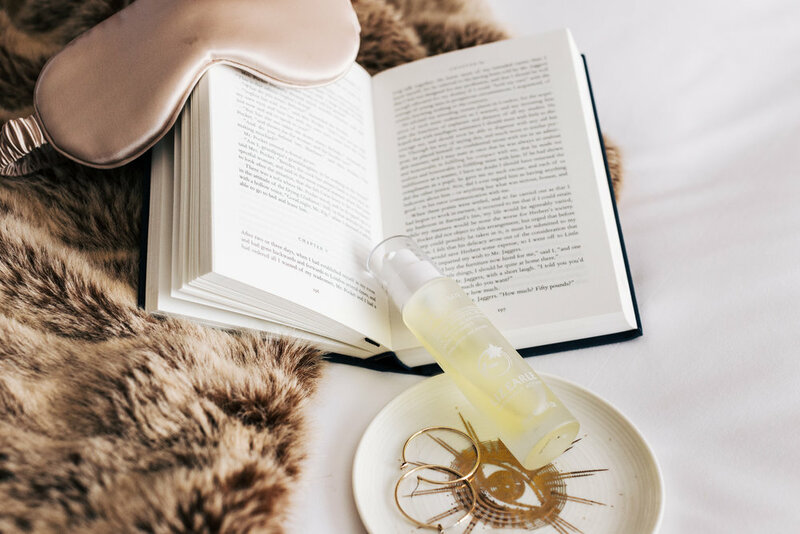 to give yourself one seriously brightening facial and follow with the Luna oil. Liz Earle Superskin Concentrate - when my skin is in need of a good smothering of oil, this concentrate - made from 100% pure plant oils - is my go to. Smells divine and it really calms my skin at night so I wake up with healthy, happy skin. Filled with pure essential oils of neroli, lavender and chamomile, it has the benefit of helping you to drift off too.